Admit it! The most annoying moment is when you discover the “An unknown error occurred (4005)” message in your iTunes while trying to update to the latest iOS 11 or restore your iPhone or other iOS devices. Or if there is any disconnection occurred at some point in updating or restoring the device. For a tech savvy person, an iPhone restore error (4005) may not be such a big hitch; but for those who don’t know much about the technicalities may get concerned when they get stuck in these sorts of problems. And believe it or not, these problems truly bother us. Perhaps, the iTunes software is not completely installed or downloaded. Virus or malware attacks in the iOS device. Corrupt iTunes related programs or files. Old iTunes version can also be a reason of iPhone Restore Error 4005. Don’t feel exasperated due to the notification that takes place while restoring your iPhone. Yes there’s no need to feel that way anymore as iMyFone D-Back is here to assist you. This user-friendly and trouble-free software assists in recovering your important files or data. 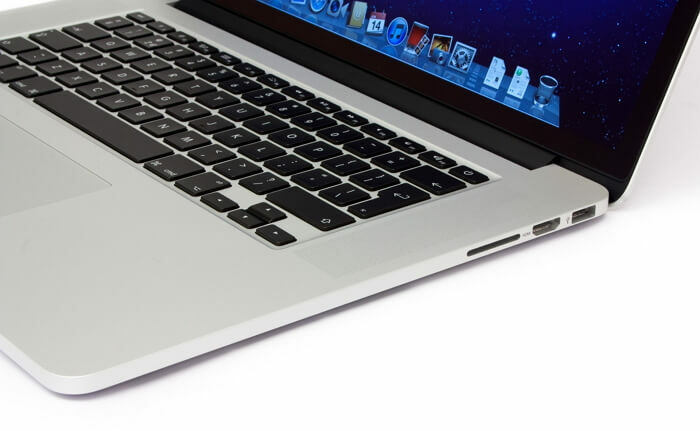 Moreover, iMyFone D-Back or iMyFone D-Back for Mac is able to fix your iOS system problems totally using its latest feature called “Fix iOS System”, like black screens or white Apple screen of death or a looped recovery mode. Read on to know the step by step guide to fix this issue. 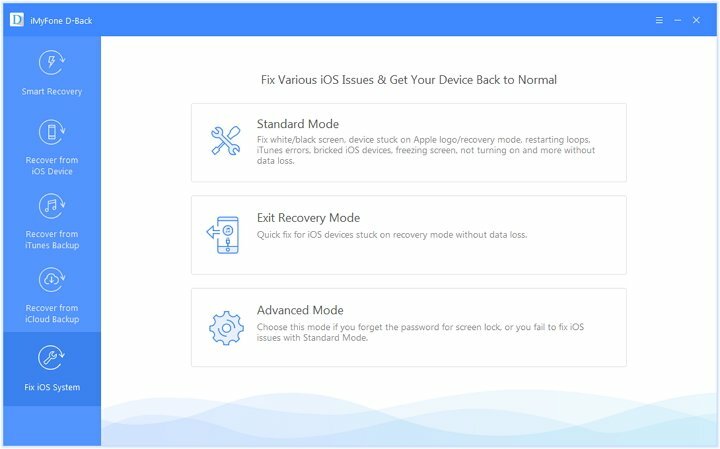 It is a multifunctional software that not just recovers your lost data in lots of circumstances but also helps you to fix various iOS system problems like iPhone/iPad stuck in recovery mode, DFU mode, looping on start and so on. This software is compatible with wide range of file formats.You can recover 22+ files like your messages, call history, photos, videos, WhatsApp, Viber, Kik, WeChat and many more. 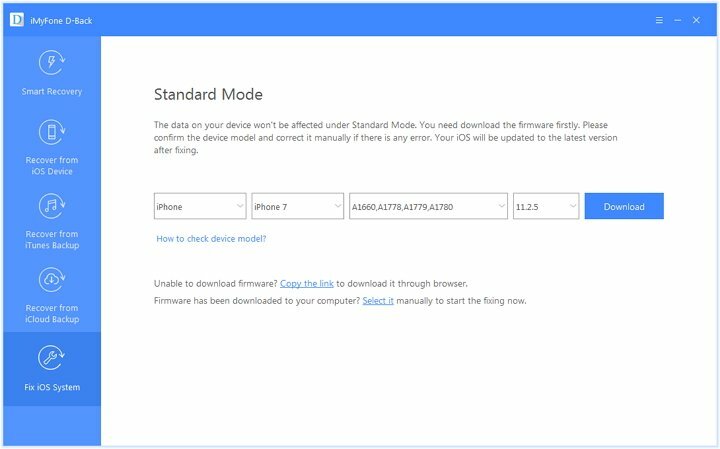 There will be no fear of losing data when using the Standard Mode and your private information being revealed while using this software. It works well with all iOS devices and all iOS verisons including the latest iOS 11. 1.The first step is launching iMyFone D-Back on the computer. 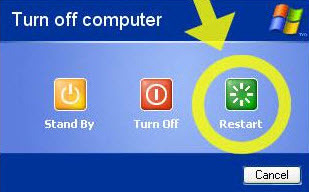 After that, a window will appear and you need to click on “Fix iOS System” and choose the "Standrad Mode" on the middle. 2. With the help of a USB cable, connect your iPhone to the computer. Then put your device into DFU Mode or Recovery Mode so that the program can detect it. 3. Subsequently, you are required to download fresh firmware. The software will easily detect your device model and download suitable latest iOS version. All you need is to hit on “Download”. 4. Now, just wait as downloading will take some time. 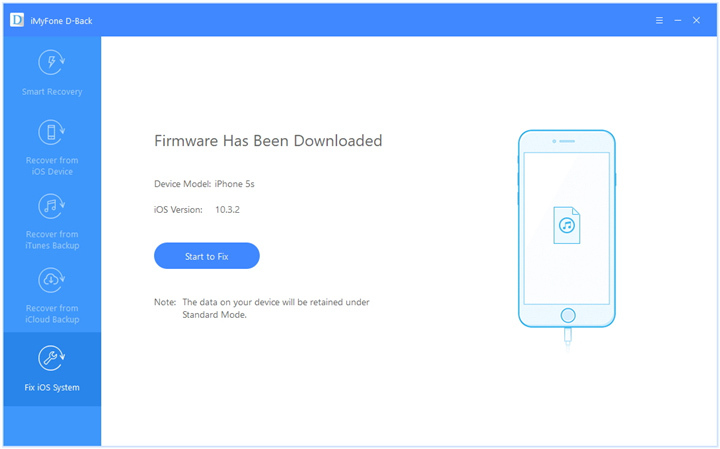 Click "Start to Fix" to go through a repairing process after the firmware is downloaded. Your device will get back to normal soon. 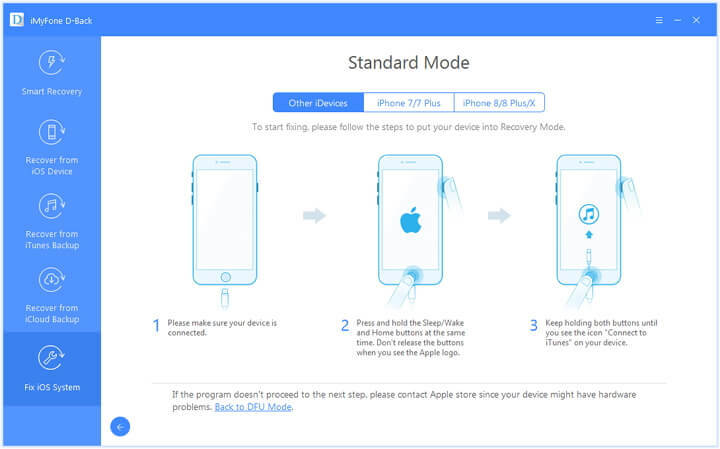 If even now you need some help, you can also attempt some tips to fix iPhone restore error 4005. Read on the following tips to learn more. Installing latest version of iTunes will fix the unknown error 4005. It’s effortless and do well occasionally. Head to the help menu and find “Check for Updates”. It will begin checking the installed version on your computer. you are now just some clicks away to update iTunes version. 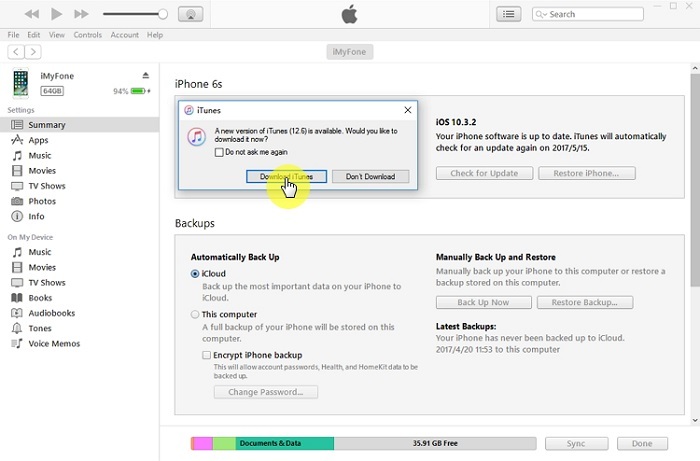 You can force restart your iPhone when there is an iPhone error 4005 occured. In order to force restart your iPhone, switch it off by pressing “Sleep/Wake” button and “Volume Down” button for 10 seconds if you own an iPhone 7 or 7 Plus. 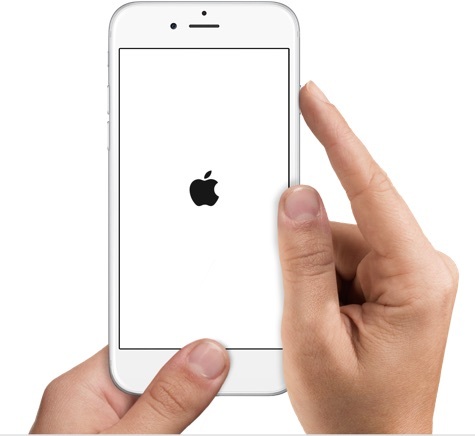 After Apple logo is visible to you, release it. And if you have iPhone 6s or earlier models, simultaneously press and hold for no less than 10 seconds the “Sleep/Wake” and “Home” button. If you are still in need of help once having downloaded iTunes, you need to restart your computer. This will clear the issues related to iTunes error 4005. Please make sure not to plug in your iOS device into the USB hub, instead plug it directly into your computer with the USB cable. This is recommended to ensure better connection because more the number of connecting mediums, lesser will be the connection strength and slower will be the process rate. This may avoid the iPhone error 4005. If the above tips do not help to fix the iPhone error 4005, you can try iMyFone D-Back (compatible with iOS 11) for its wonderful features. The beauty of its new “Fix iOS System” feature makes your task a piece of cake. Also, it works up to your full satisfaction providing full security and user-friendly interface. Moreover, the success rate is evident from the highly positive reviews that this software has received so far.